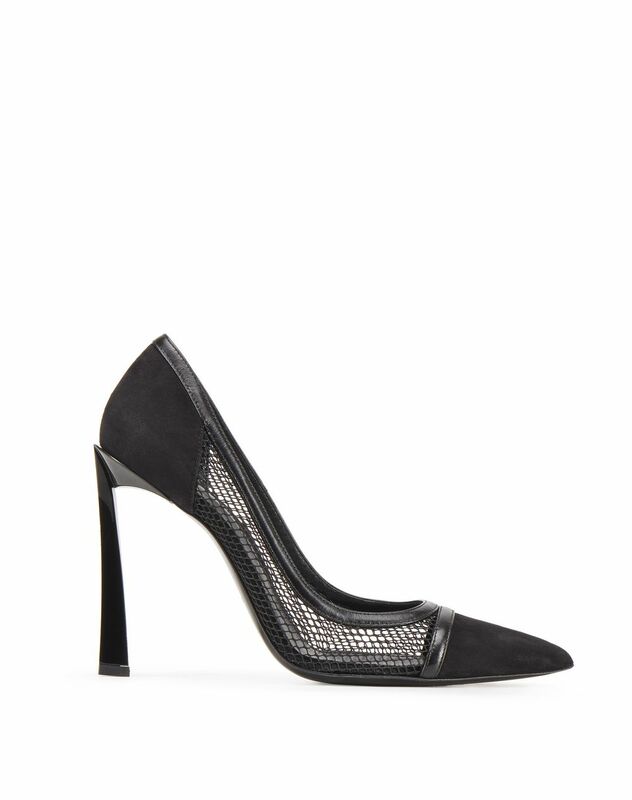 Black mesh and suede goatskin leather pump, cap toe highlighted with a smooth leather strip, pointed toe, black insole with “Lanvin” logo, and a slim beveled-effect 4-inch heel. 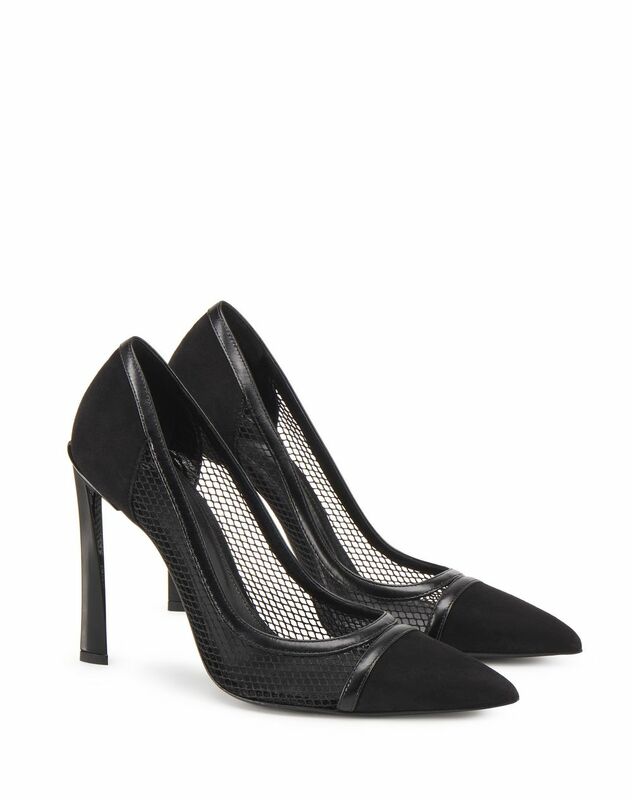 Resolutely feminine, these Winter 2018 Pre-Collection pumps stand out for the contrast between leather and mesh, which provides a subtle view of the skin beneath for an even more striking touch of glamor. Main material: 100% polyamide. Secondary material: 100% capra goatskin leather. Lining: 100% capra goatskin leather. Sole: 100% calfskin leather. Heel height: 10,5 cm Made in Italy.